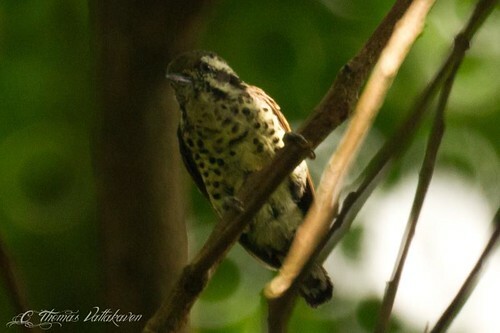 The Speckled Piculet (Picumnus innominatus) or the Nilgiri speckled Piculet is a tiny bird belonging to the woodpecker family of Picidae. 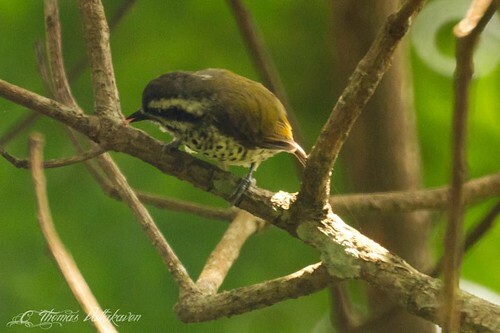 It has olive green upper parts, with the male having a orange crown, while the female (here) has it green. It has a broad white supercilium. A second such line passes from the bill to the neck. The intermediate streak, which runs through the eye is black. 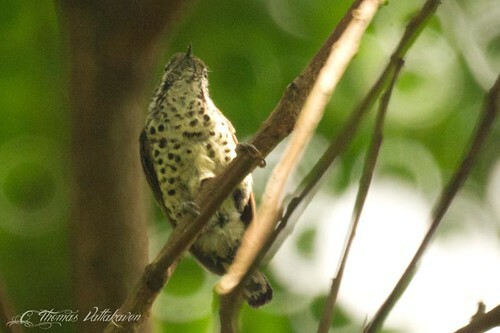 The lower plumage is a creamy-white with bold dark spots, giving it the speckled appearance. The iris is dark and bill is short and black. Their food consists mainly of ants in all stages. 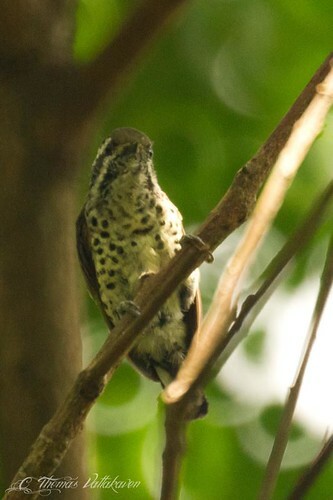 As seen in the third picture above, it uses it’s tongue to flick out insects from holes and crevices on trees. 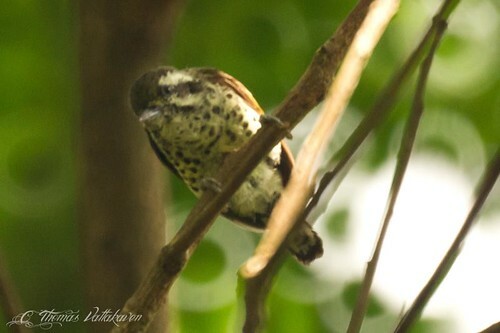 It nests in holes in bamboo or rotten branches, which is often used for more than a season. The nesting season is from April to May. Other Details: Seen in a clump of trees in a forested area, but close to human habitation. Feeding with the male, which I barely managed to miss taking a picture of.